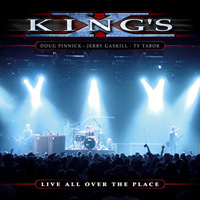 The Texas-based rock trio King’s X will issue the double live CD Live All Over The Place on November 2, 2004. This Brop! Records/Metal Blade Records release is the critically acclaimed band’s first live album in its 25-year history. 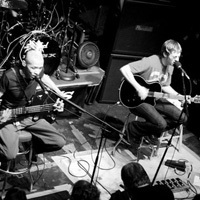 Live All over the Place also features a bonus acoustic set. 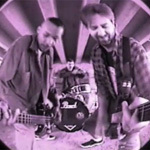 All songs were recorded in various locations on tour beginning with 1994′s Dogman trek through 2003′s Black Like Sunday dates. Calling Live All Over The Place a long-overdue documentation of the beloved band’s energizing live show is an understatement. 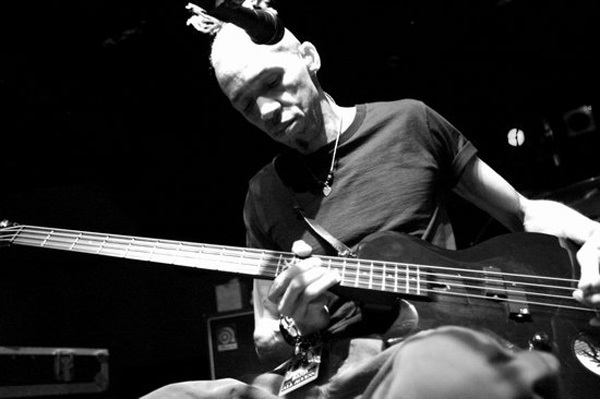 Vocalist/bassist Doug Pinnick, vocalist/guitarist Ty Tabor and vocalist/drummer Jerry Gaskill have thrilled fans and journalists worldwide — especially in the United States and Europe — with their heartfelt music. 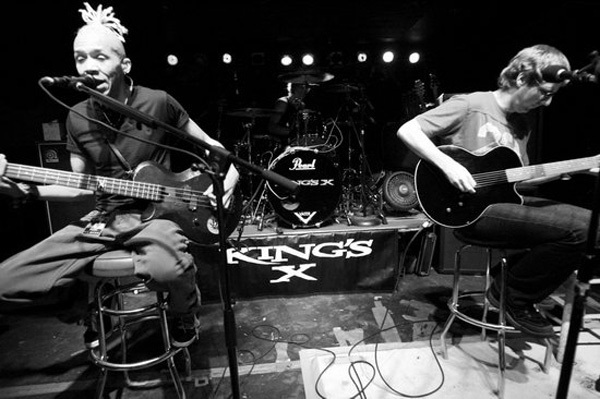 King’s X has been a huge influence on other bands such as longtime fans Pearl Jam, Anthrax and Living Colour. 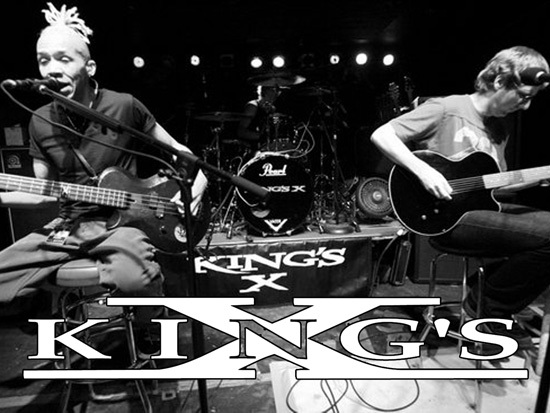 VH1 ranked King’s X as # 83 on its list of the top 100 all-time hard rock artists. 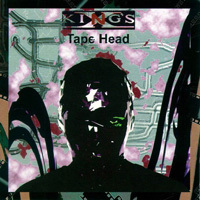 “King’s X has been performing live since 1980 and our fans have always wanted a live album, but there were lots of legal reasons why we haven’t put one out until now. We’ve been with four different labels over the years and recorded more than enough material for a live album but only now through the passage of time are we able to release one,” Tabor says. 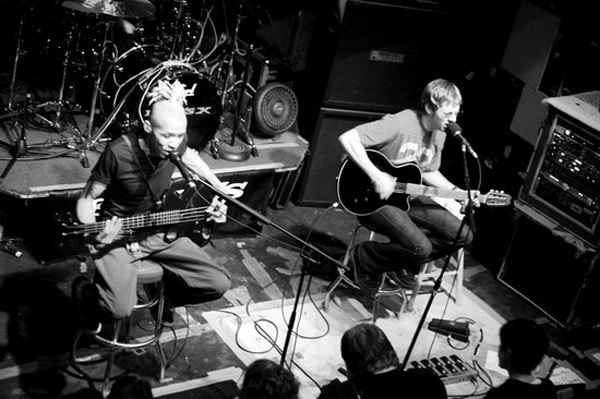 “We’ve always recorded as much live stuff as possible. 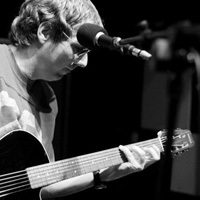 We have thousands of hours of live recordings. Basically, we were recording every night,” says Tabor. Those flaws and that human emotion are what make genuine live albums great; too much studio polish takes away from the overall feel and defeats the purpose of having a live album represent the concert experience. 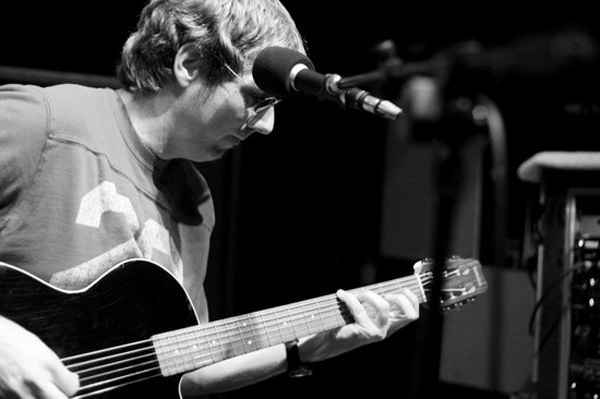 “It’s tough to make a live album sound good. Cymbals always bleed through, making a live album a very difficult thing to mix. You want to capture the vibe and those special moments, but sometimes those don’t sound as good as other takes. 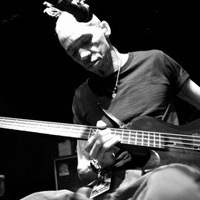 Having a good night on stage and getting a good recording at the same time is rare,” Tabor says. 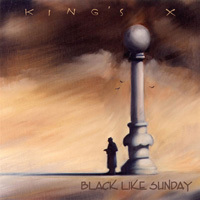 For the past 25 years there’s been no other band comparable to King’s X. 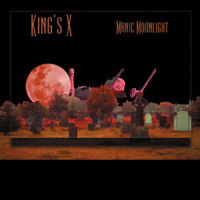 The power of hard rock and heavy metal is filtered through Beatles-inspired pop melodies and technically proficient progressive rock chops; thoughtful lyrics also separate King’s X from others. The band took shape in the college town of Springfield, MO. 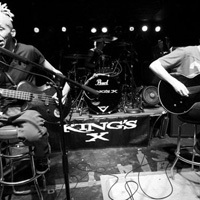 King’s X built up its reputation through relentless touring and relocated to Houston, TX, in 1985 after being offered a recording contract, but the deal fell through. The 1988 debut album Out Of The Silent Planet earned rave reviews. Gretchen Goes To Nebraska appeared the following year and MTV put the video for the single “Over My Head” into rotation; in fact, it was among the channel’s Top 10 requests for many weeks. 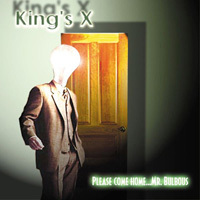 Subsequent albums include Faith Hope Love, King’s X, Dogman, Ear Candy, Tapehead, Please Come Home … Mr. Bulbous, Manic Moonlight and the collection Best Of King’s X. Pinnick, Tabor and Gaskill have enjoyed significant radio airplay too; “It’s Love” hit # 3 on the U.S. FM radio charts (and the video earned heavy rotation on MTV), “Black Flag” went to # 4 on those same charts and “Dogman” earned regular radio spins as well.